for Yahweh your God is a merciful God; he will not fail you, neither destroy you, nor forget the covenant of your fathers which he swore to them. Our God is a merciful God. He is full of compassion and love towards us. 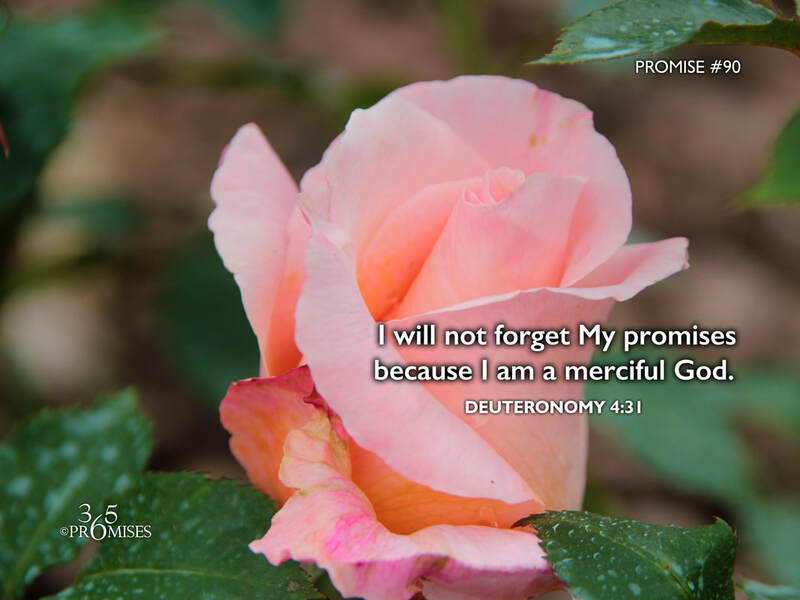 In today's promise, He tells Israel that He will never forsake them or hurt them or forget the promises He made to their forefathers. Our God is the ultimate promise keeper. He remembers every promise that He has made and He is faithful to keep all that He has promised. The enemy of our soul would want us to think otherwise. He has always been lying about the character and nature of God and will continue to do so because Jesus called him the father of lies (John 8:44). May we all be reminded today that God is faithful to do everything that He has promised for us. Not one of the promises that He has made will ever fail us for He is good and His mercy endures forever (1 Chronicles 16:34). My prayer today is that each one of us would choose to believe that God is who He says He is and we are who He says we are! May faith rise up within our hearts today and cry out to God... Lord I believe that you are a merciful God who keeps all His promises!